and will populate the team schedule. are informational only and may not contain the proper field or time. • All teams must be ready to play at game time. There is no grace period and failure to be ready may result in a forfeit. Please remind your parents that your game schedule is determined by your wins or losses and ask them to be flexible. • All regular season rules apply except no borrowing players. The 8U,10U and 12U pitching innings rules remain in effect. 8U minimum player rules apply as well. All pitchers begin game 1 of the tournament with 0 innings.Slaughter rules will be the same as the regular season. • Home team will be the higher seeded team and will occupy the third base dugout. • If you arrive at a game and game balls are not available, contact the tournament director and/or check with the concession stand as many commissioners will leave game balls there. Char-Meck will provide one new game ball for each game.The home team provides a good second ball. In the event you can’t find a new game ball, please use two good used balls from your equipment bags. All game-used balls provided by Char-Meck are to be returned to the concession stand by the umpires after the game. • Please pick up trash out of dugouts after each game. • Regular season time limits will apply for all games. • If you have any questions about rules, rain out games or protests, please contact your commissioner. He/she will be available by cell phone to settle any disputes if not at the fields. Alert your parents that rain may alter our scheduling quickly and dramatically. 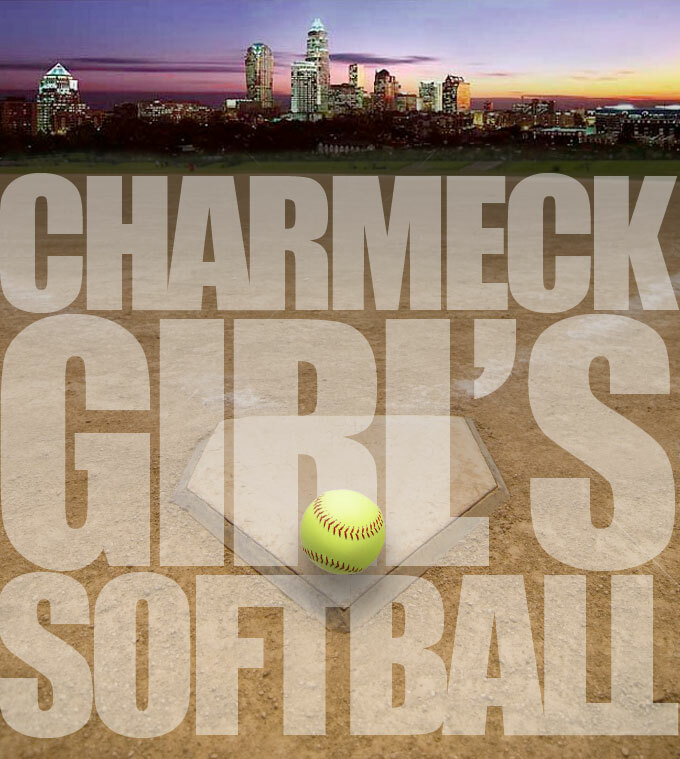 • The winning team MUST go online to www.charmecksoftball.org and enter the winning score into the tournament season just like you have been doing during the regular season. Coaches in 8U,10U and 12U must enter their pitching innings. This should be completed by 11:00 p.m. the night of the game. The tournament director will oversee all web administration for their age group. • All head coaches MUST bring their regular season score books to each tournament game. Failure to do so may result in forfeiture of their game(s). • Tournament rewards will be given out after the Championship Game to the Runner up, then Champions. Please wait on the foul lines for the on field presentation by the tournament director. Char-Meck will provide 14 individual trophies for each team. • Head coaches are responsible for the behavior of their players, coaches and parents. Enjoy your tournament and please remember we are here for the girls!